My name is George William-#A527-157. I am 33 years of age, and I’ve been Incacerated since 2005. 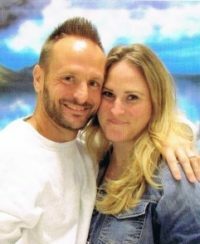 I am currently serving a 18 to life sentence, Im from Alabama but moved to Cincinnati, Ohio a couple of years before i caught my case. I wasn’t a bad person I just made a bad decision as do everyone, except my bad decision cost me my life. I was on my way to becoming a Pro Boxer before this, I was also working and going to school. Im tall 6’3″ in Height and around 240 pounds in Weight, Im brown Skin with long hair. I enjoy reading (mostly westerns) and I also write books and poetry, most of the time it helps me with escaping the reality that I now ive in. Hopefully I can Bless you all with my Gift..